Under new management as of 2017, long-running Coco Beach has installed air-con in all of its wood or concrete bungalows set just off the beach. Two rows of old but well-kept bungalows come with plastic chairs and benches on porches, but you’ll have to walk up to the beachfront restaurant for a sea view. They all have hot-water showers and generic landscape paintings on mostly woven bamboo or artificial-wood walls. Pricier editions bag you cheap sofas, coffee/tea facilities, larger tiled bathrooms and natural wooden walls. We’d pay an extra 200 baht for a wooden bungalow rather than settling for one of the cheapest concrete rooms at the rear. Coco is an especially good choice for families, offering three options that sleep three to four people. The best of these is a two-bedroom bungalow with queen bed and porch on each of the two floors -- we were told that sea views can be enjoyed from the upper floor. Coco occupies a slender strip of land that’s like an island of air-con at the centre of the larger Castaway Resort, which has a separate owner. The receptionist who greeted us was patient and polite -- a big change from the brusque attitudes that we used to encounter here -- and their idea to offer air-con digs at lower rates than Castaway’s fan rooms was cunning. We opted to list Coco rather than nearby Zanom Sunrise, which offers similar air-con rooms in attached wooden buildings at higher rates but is also a decent choice. Coco stays open year-round but the restaurant closes in rainy months. Plus 200 to 400 baht for wood bungalow. Up to 3,000/7,200 for two-floor bungalow. 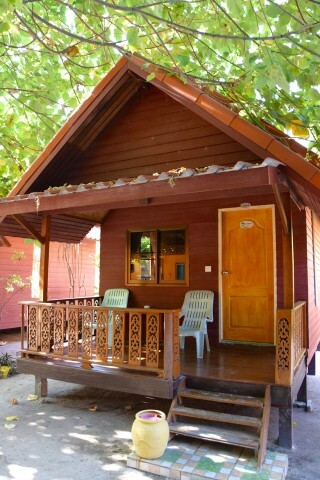 Room: Bungalow air-con private bathroom, low season: 1,000 baht, high season 2,500 baht. Notes: Plus 200 to 400 baht for wood bungalow. Room: Family room, low season: 2,200 baht, high season 5,100 baht. Notes: Up to 3,000/7,200 for two-floor bungalow.